There is nothing quite like a smooth, well-functioning suspension fork to make a bike ride enjoyable. The only way to keep that thing working the way you want it to is to give it some love once in a while. 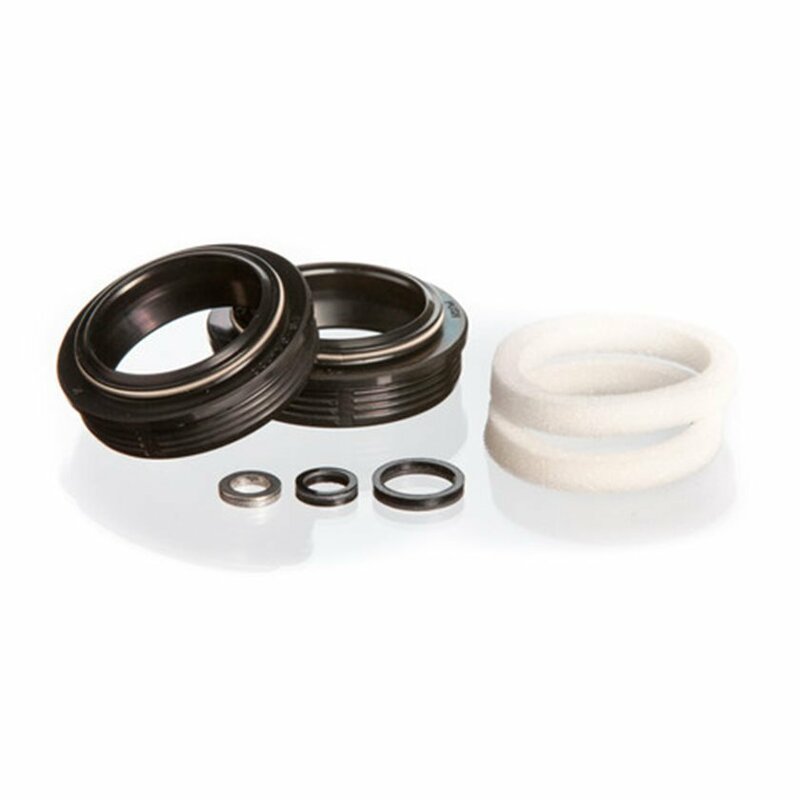 Push industries has developed a fork seal kit that is an improvement on manufacturer service parts. Push has engineered and developed a Ultra Low Friction seal that provides top quality sealing characteristics as well as offering the lowest friction of any other on the market. Good quality and just as smooth on the fork as the fox brand. It is easier to install into lowers compared to fox. It'll just push right in, compared to Fox's you need a seal setter to get it in (or some creativity/home made tool). Super minor but I didn't like that it doesn't come with a new sag ring, mine was really worn and just ended up removing it, that would be really cheap to include in the package. I am well satisfied with these seals, they fit perfect and were easy to install. These are much smoother than the standard Fox fork seals. A huge improvement in fork responsiveness and feel. Feels like there is literally zero stiction. I would give it 5 stars but since I've only had these in a few weeks, I cannot verify the longevity of the seals. Worked great for a service of my Fox 34 forks. Fit and install were spot on. I'm all about Push. They rebuilt a fork for me a few years ago and it came back unbelievably plush. I've taken on my own fork services now and wanted to try their seals. They work great but I'm not sure I could tell the difference between stock seals. These are easy to install even without the fox tool. Easy install and help make my pike feel buttery. These replaced the original seals and really reduce friction. I used the plastic sram tool to install and they popped right in. I just installed them. Time will tell how they keep air and dirt out. They are easy to push into your lowers by hand. And they have a big channel for grease. Probably hold 5x more grease than the stock seals. Push makes great stuff...everything you need to service your fork. Nice seals but I can’t tell the difference between running these and the $13 RS seals. Don’t know if I’ll buy them again. Push makes other great products though. Foam wipers are so soft that they wouldn't stay in place. They kept getting pinched under the seal. Had to re-use the old wipers. Otherwise very good seals that are incredibly easy to install. Prompt, came as described. Happy. My forks have more travel than with the fox seals I've used in the past. SMOOTH. I Might actually have to increase the air pressure. These Dust washer have the lip on top which make a real easy installation. You will always get them installed perfectly flush. I was concerned how tight of a fit they are when you go to re-install the lower legs. I had to fight getting them back on way more than the regular rockshox SKF seals. How long will these seals/ wipers last? BEST ANSWER: I've found them to last at least as long as the FOX version and perhaps a bit longer. My first set had almost 1200 miles /8 months before I noticed any fluid getting by the seal on a typical ride. I'm in dry dusty AZ so I don't have any experience if water/mud impacts longevity. You should rebuild your fork once a season. If I can recall correctly they were a great product.